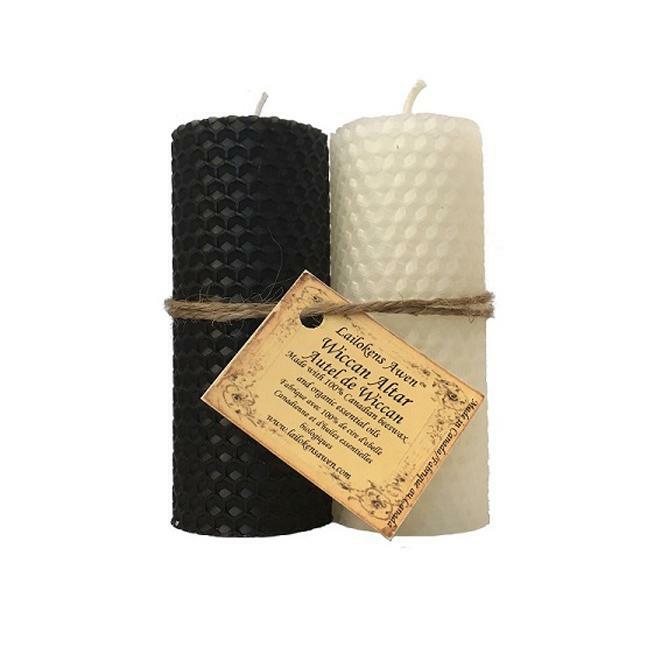 Two pillar candles, one white and one black, each one anointed with general magical Anointing Oil. Made on the day and in the hour of the Moon. Handcrafted with beeswax and organic essential oils. Slight variations in colour may occur between batches.